TOWSON – A generation apart, Duane Ferrell and Gary Neal put together fine NBA careers. While Juan Dixon led the University of Maryland to its only NCAA championship, his prep backcourt partner in 1997 is also a point of pride, as Jason Medinger is an Assistant U.S. Attorney for the state’s Northern Division. For all of the men Mark Amatucci has forged as a coach, teacher and now guidance counselor at Calvert Hall College High School, however, none share the relationship he has with a reserve from his finest basketball teams, a tall man in black they still call “Ski”. He nodded toward Father Charles Sikorsky, of the Legionaries of Christ, president of the Institute of Psychological Sciences in Arlington, Va., and before that a member of the class of 1982 at Calvert Hall, when the Cardinals went unbeaten and were proclaimed mythical national champions. “He was the epitome of the type of player that made that team great,” Amatucci said. “I remember him (Amatucci) pushing us to places where we didn’t think we could go on our own, and the hard work involved in that,” he said. “You have to sacrifice yourself for the good of the team; that’s more important than the individual. Father Sikorsky was among the dozens of former players who returned to Calvert Hall last December, when its basketball floor was named “Coach Tuch Court.” The crucible of 1980-81, his junior season, remains vivid for both. 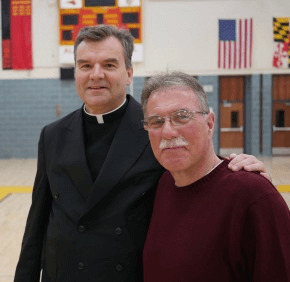 Father Sikorsky had played CYO ball at St. Ursula in Parkville, and credits Joe Binder for pushing him as a ninth-grader, when he was relegated to Calvert Hall’s frosh-soph team. He played JV as a sophomore, before he was finally ready to get on the floor against the rec center stars Amatucci had recruited. Days later, Paul Kinney, one of the Cardinals’ senior stars, suffered a fatal heart attack on the floor. The trauma steeled Calvert Hall, which won the Baltimore Catholic League and scored an epic win over Dunbar High. A year later, the Cardinals were perfect, the only BCL team to win the Alhambra Catholic Invitational Tournament from 1963 to 1995. 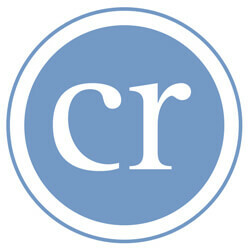 He had a similar experience four years later, as an undergraduate at Johns Hopkins University, when he was in the basketball doghouse of another local coaching legend, Edward “Nap” Doherty. Earning a degree at the University of Maryland School of Law, he planned to have a “big family and overturn Roe v. Wade,” but then felt the influence of several priests, including Baltimore native Bishop Victor Galeone, archbishop emeritus of St. Augustine, Fla.
Two decades after his life had revolved around basketball, Father Sikorsky was ordained to the priesthood in 2002.